One week to go until the city’s dark winter nights are illuminated with projections, sound and imagination. Urban Legends: Northern Lights, the map. Using the city’s streets, shops, buildings and public spaces as the pages of its story, Urban Legends: Northern Lights will unfold at The Rose Bowl, in King Edward Square, Queens Gardens and Hull Minster, as well as streets and shop windows down Whitefriargate and Parliament Street. 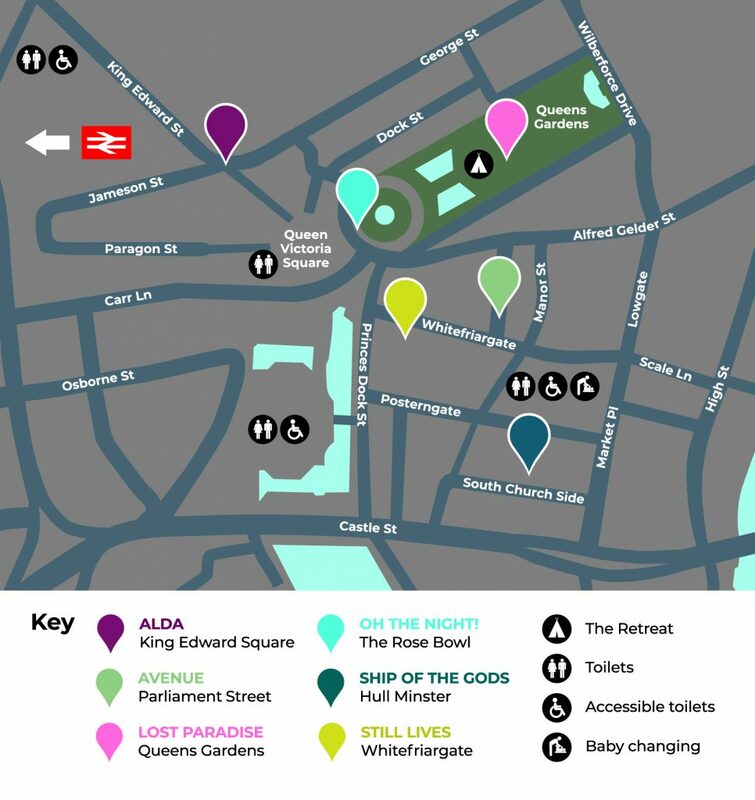 Maps are available from the Pod, Tourist Information and from the City of Culture Volunteers who will be distributing them around the city this week. It is also available to download from www.absolutelycultured.co.uk. Inspired by the story of Skidbladnir, a magical shape-shifting ship, Heinrich and Palmer’s Ship of the Gods will combine film, 3D laser scanning technology, sound and lighting effects to create an ethereal and otherworldly experience. Be the first to comment on "One week to go until the city’s dark winter nights are illuminated with projections, sound and imagination."